I keep doing sets of links to hand out at various conferences. It seems like every time I do the list comes out a little differently. Some new things. Some things have new addresses. And the order of things changes for the audience. This list is from a pair of handouts I have put together for a high school curriculum panel at Stevens Institute of Technology and for TCEA. Since I’m been working on this I haven’t has as much time to write for the blog. So here’s hoping this serves as double duty. A graphical programming tool for younger students. A Microsoft program for schools to get Microsoft Development software for labs, teachers, and students. DreamSpark High School provides professional-level development and design tools to students enrolled in an accredited, secondary educational institution at no charge. Software for developing games for Windows, the Zune and the XBOX 360. Also links to the XNA community with sample code, tutorials and support forums. 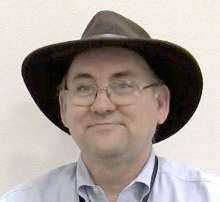 Alfred Thompson’s Blog http://blogs.msdn.com/AlfredTh Which is of course my real official blog. Just passing this along in hopes that people interested in Alice will see it an take advantage of this opportunity. I have no connection to the conference or the Alice Project. I’m just a fan. The one-day Alice Symposium is June 17, 2009. This symposium is for Alice teachers at levels of instruction ranging from Middle school and High School to College and University. Note: Two-day workshops will be available before and after the Alice Symposium. You are invited to submit a paper or an abstract for the symposium. All accepted papers will be published in the conference proceedings. 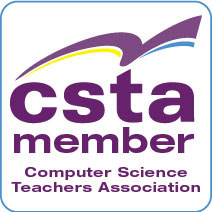 We have requested "in-cooperation" status with SIGCSE. If this status is granted, papers will also be made available for publication to the ACM Digital Library. There are two types of submissions: Abstracts and Papers. Papers will undergo a blind reviewing process. Papers must not exceed five pages. Authors will have approximately 25 minutes for their presentations, including questions and answers. Papers submitted should follow the ACM SIG Proceedings format. Information is available from the symposium web site. Something for the IT people at your school or district. Join Mark Russinovich and a panel of subject matter experts for a live discussion of what's in store for IT pros with Windows® 7. Learn about the evolution of features like Group Policy, BitLocker™ To Go, DirectAccess, BranchCache™, and Software Restriction then get tips on troubleshooting, deployment, and application compatibility. Bring your questions—Mark and the panel will answer as many as they can during the hour-long event, then publish the rest in a Q&A after the event. Find answers to your Windows client OS deployment and management questions with resources, tools, monthly feature articles, and guidance from subject matter experts and early adopters. To learn more, visit www.microsoft.com/springboard. As part of the “virtual” experience, you may submit your questions about Windows 7 Beta to the panel live during the event—or submit questions in advance to vrtable@microsoft.com.